When we’re talking about lemon water, we mean a tall glass of water with freshly squeezed lemon juice, from an actual lemon, not the bottle at the back of your fridge. Half a lemon is a pretty standard amount and provides you with enough benefits without being too sour. Lemon water is free from any caffeine which makes it a perfect drink before bed. It’s not going to send you to sleep itself, but won’t keep you awake for any longer. Also, it’s only nine calories and less than 1 gram of sugar. In comparison, an orange has twice the calories and sugar. Along with oranges and other citrus fruits, lemons are full of vitamin C and extracting the juice directly gives you the maximum amount possible. Half a normal sized lemon will give you a whopping 25% of your recommended daily intake of vitamin C.
Vitamin C is used by the body to maintain a healthy immune system and fight off bacteria, which is why it’s very popular when you have a cough or cold. Lemons also contain small amounts of potassium and folate. Lemons contain flavonoids which are plant compounds, and act as antioxidants. These help the cells in your body to repair and protect themselves from damage. Although there have been no scientific studies on humans to back up the exact impacts of lemon juice, it’s not going to do you any harm! Drinking water with lemon juice has lots of benefits all the way throughout your body. There are a lot of claims online that drinking lemon water before bed can help you lose weight. Many of those centre around the pectin in the lemon juice, which allegedly reduces your calorie intake and appetite level. However, the amount of pectin in half a lemon is fairly minimal and the effect has not been proven. More importantly, lemon water is very low on calories so is an excellent choice of drink if you are tracking your calorie intake. 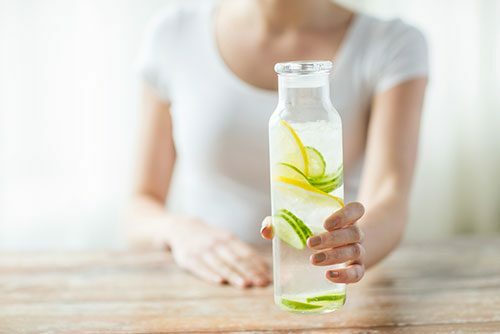 Compared to a cup of tea with milk (14 calories), warm milk (122 calories) or glass of wine (83 calories), you can save a lot of calories just by switching your last drink of the day to lemon water. evening can’t be a bad thing. Let’s talk kidney stones. Those pesky little deposits that can be extremely painful to pass through. Well, lemon water can actually help to treat them and prevent against getting them in the first place. It’s all thanks to a compound called citrate which is found in high levels in lemons. Having citrate in your wee stops calcium from sticking to other compounds and creating stones. 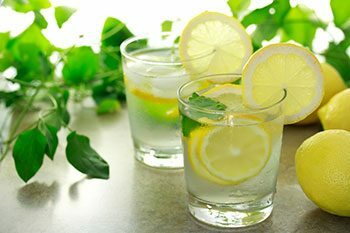 Lemon water is a great accompaniment to potassium citrate which is used to treat kidney stones, or used as an alternative treatment method. There are plenty of reasons why drinking lemon water at bedtime is a good thing. However, there are a couple of downsides to be aware of. Lemon juice can be abrasive on your tooth enamel in large quantities, so make sure you brush your teeth after you have drunk your water. Also, as with drinking any liquid, you are going to need to use the toilet. The good news about lemon water is that it has a negligible diuretic effect so it won’t make you wee any more than usual. Traditionally, bedtime drinks are warm to help encourage shut eye more quickly. Does this apply to lemon water too? The long answer is that there are plenty of arguments that using warm water is more beneficial, because it improves digestion and encourages your body to flush out toxins. The ancient practice of Ayurveda claims that drinking warm water is essential for good health. The short answer is that it really depends on personal preference. There are no studies proving that warm water is better for you or has any extra benefits than the cold stuff. It’s probably not a good idea to drink iced water at bedtime though, as it can be stimulating and keep you awake for longer. 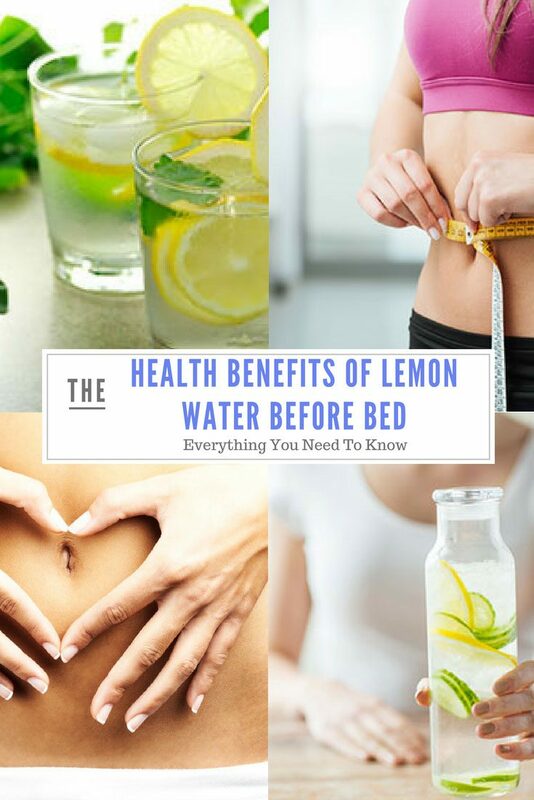 Lemon water is a great bedtime drink, it has lots of benefits and the downsides can be mitigated easily. What’s not to like? !